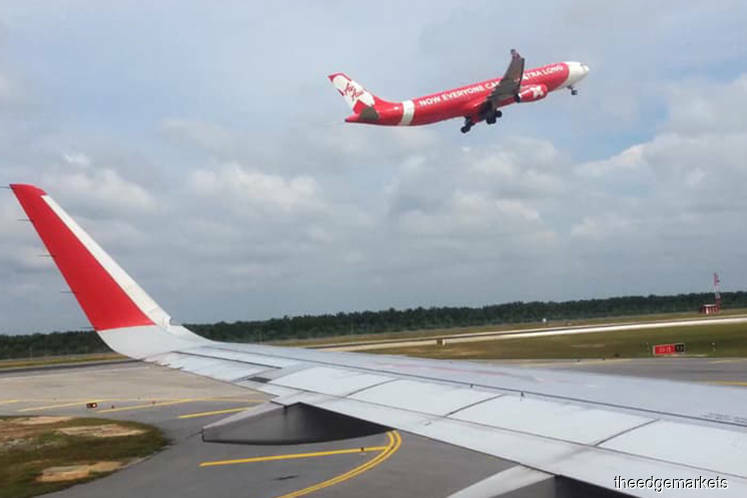 KUALA LUMPUR (Dec 8): AirAsia Bhd's chief executive officer (CEO) Aireen Omar and deputy CEO Tharumalingam Kanagalingam have both relinquished their directorship in the low-cost carrier's board today to enhance corporate governance. In filings with Bursa Malaysia today, AirAsia said both their resignations will result in the majority of its board being represented by independent, non-executive directors. Despite relinquishing their board posts, AirAsia said both Aireen, 44, and Tharumalingam, 52, will retain their current executive positions as CEO and deputy CEO respectively. In a statement today, the group said the latest change was in accordance to the newly released Malaysian Code on Corporate Governance by the Securities Commission Malaysia. "This move will also enable Aireen and Tharumalingam to focus on the transformation and ambitious growth plans for the company," the group said. AirAsia's share price increased three sen or 0.94% to close at RM3.22 today, giving it a market capitalisation of RM10.76 billion. Year to date, the counter has gained 40.61% from RM2.29 on Dec 29 this year.